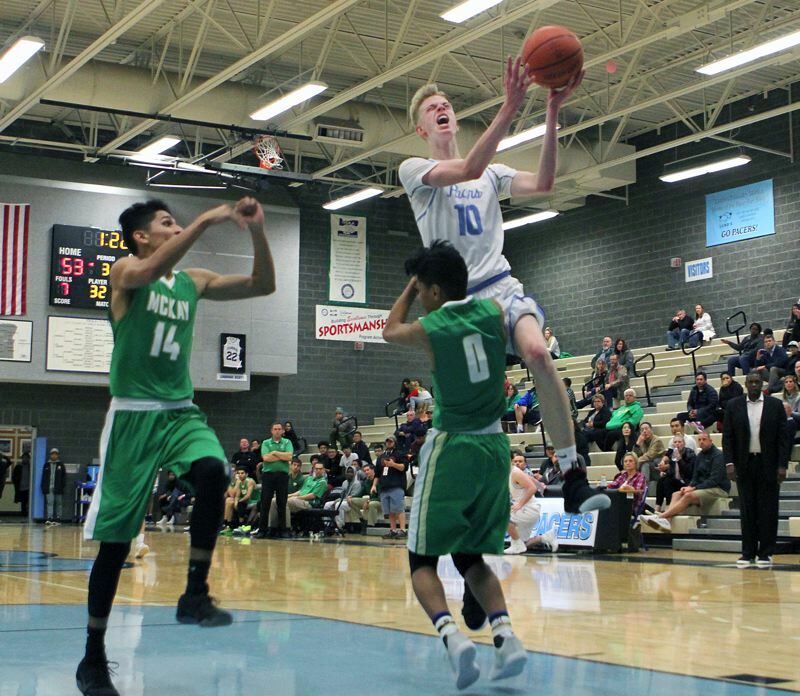 There was nothing easy about the 2017-18 season for the Lakeridge boys basketball team. A year earlier, the Pacers had battled the Three Rivers League's best tooth and nail. But in 2017-18, Lakeridge — hamstrung by graduation and transfers — struggled to a 2-12 TRL record and a tie for seventh place. Looking ahead to the coming 2018-19 Three Rivers race, the Pacers have more challenges ahead, including the transfer of four players away from the program. Despite that, Lakeridge is determined to compete in the ever-tough TRL. "We are going to have to win by committee, so passing the ball to a teammate that scores has to be as exciting as scoring," said Lakeridge coach Fred Gold. "(If we do that, it) will create help on defense as well as the little things like helping a teammate up after he falls. We missed all that last year and the team is already 100 percent better." To be fair, the cupboard is hardly bare at Lakeridge. While the Pacers don't return an all-league player, they do bring back a trio of varsity players led by 6-foot-8 senior center Carter Larrance, 5-10 senior guard Lawrence Chen and 5-10 senior guard Nima Vaday. "Carter Larrance is our only returning full-time varsity player from last year so he will certainly be asked to and seen by his teammates as a leader," Gold said, noting that Larrance is also a straight-A student in the classroom. "Carter … leads both on and off the basketball court. Being the tallest person on our team at 6-8, we hope he will lead in several statistical areas for our team." Along with that trio, the Pacers will look to a handful of seniors, including Jake Mount (a 6-3 guard/forward), center Calvin Migchelbrink (a 6-8 center), Charlie Maynes (a 6-0 guard), Jack Leimbach (a 6-1 guard/forward), Noa Bothe (a 6-2 forward) and Ryan White (a 6-4 forward). Also ready to contribute to the Lakeridge varsity are 6-0 junior guard Xander Houck, 6-2 junior guard Mason Nelson and 6-6 junior forward Cooper Justice. "Being that we do not have a 20-point scorer on our team, I believe in an effort to win by committee," Gold said. "Several of our guys will see regular playing time, and if all play their roles and do their job, we could see all the seniors contributing to our success, in addition to Mason and Xander." With the TRL season looming ahead, the Pacers know what they need to do to be competitive. "The keys to us being successful this year are for us to remain together as a team, love one another and really believe in our 'team first' motto," Gold said. As to the team's personnel losses, Tony Fair moved to Montana, Ethan McEachern is now at a prep school in New Jersey, Cam Feik transferred to Wilsonville and Matt Armsby transferred to Lake Oswego. Regarding the coming Three Rivers race, Gold said he expects West Linn and reigning league champion Lake Oswego to set the pace. "I think LO and West Linn will be the teams to beat as usual," Gold added.